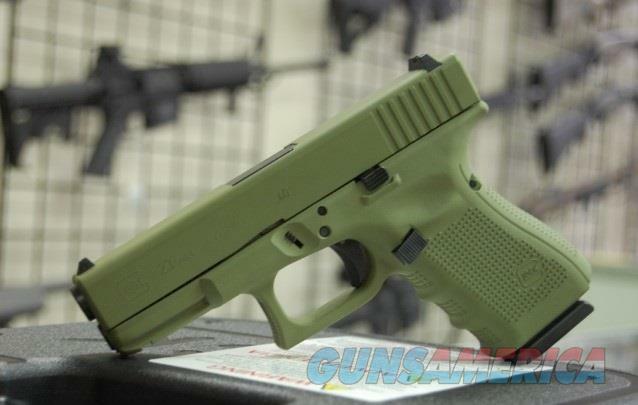 Description: New in box, X-Werks Glock 23 Gen 4 .40 in Noveske Green! Includes, all the factory case, lock, cleaning tool, manual, backstraps and 3 mags!! Follow X-Werks on Facebook to see NEW product updates!!! Give us a call, stop by our shop, or email us with any questions. Go to X-Werks.com for updated info and photos. Long guns and accessories ship UPS Ground insured. Handguns are shipped USPS priority mail insured.